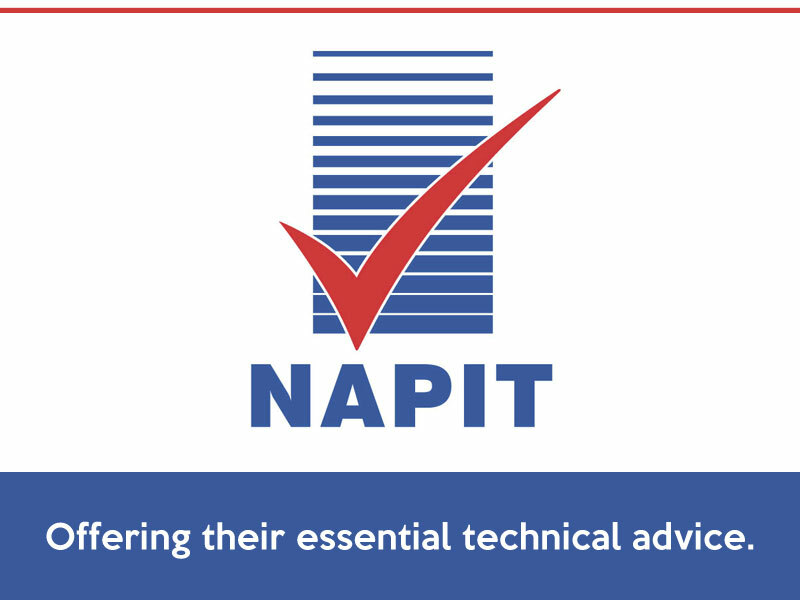 NAPIT’s Bill Allan is back this month with more essential technical advice. The emphasis on the need for RCD protection in BS 7671:2018 means that, where RCBOs (residual current operated circuit-breakers with integral overcurrent protection) are installed, it is more important than ever for installers to understand the RCD function of the device. 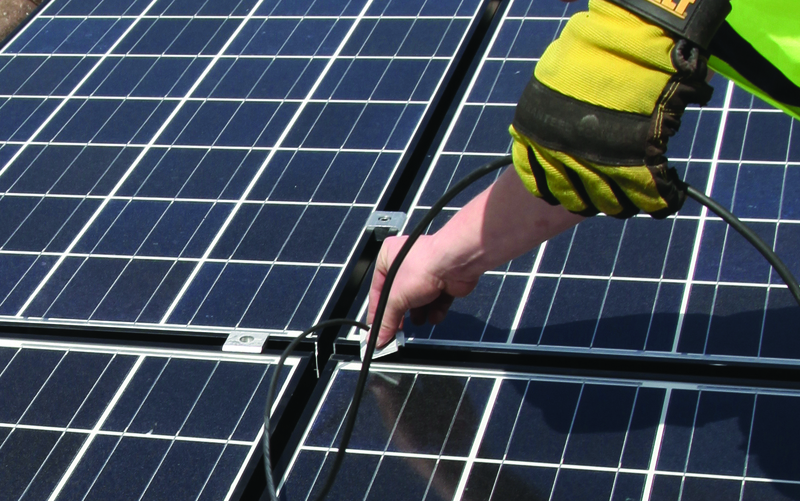 This becomes even more apparent when we consider the increased number of installations which may have DC fault currents, such as photovoltaic (PV) and electric vehicle (EV) charging installations. Some types of RCD can detect DC fault currents and other types cannot. While the type of overcurrent protection in RCBOs is usually clear, installers sometimes find that the type of RCD protection in such devices is less clear. This article will therefore provide guidance on the selection of the correct type of RCBO for various installations, with the RCD function in mind. An RCBO is a combined circuit-breaker (CB) and residual current device (RCD). It gives protection against overload and/or short circuit. Just as there are different types of circuit-breaker (Types B, C and D), so there are also different types of RCD (Types AC, A, F and B). RCBOs are sometimes preferred to the dual RCD/circuit-breaker consumer unit format because some contractors consider them to be a more efficient means of protection and one which makes fault-finding less time-consuming. The symbols and characteristics of each type of RCD, and typical loads that each type is used for, are shown in Table 1. One of the symbols shown in Table 1 should be displayed on the casing of the RCBO to indicate the type of RCD function. The prominence and position of the RCD symbol may vary from one manufacturer to another. Manufacturers could have produced RCBOs with a large range of combinations of CB and RCCB characteristics. In practice, however, only the most commonly used combinations have been manufactured, that is, a Type B or Type C circuit-breaker with a Type AC or Type A RCD. Where other combinations are needed, it often means that the necessary protection must be provided by using separate RCDs and CBs. Where an RCD/RCBO is required in an AC circuit, selection of the correct type must be based on knowledge of the type of residual currents that may be present in the protected circuit. By way of explanation, we’ll consider Type AC RCDs. They depend, for their operation, on the ‘out of balance’ current (the residual current) having a sinusoidal (AC) waveform and a frequency of 50 Hz. The sinusoidal residual current causes a corresponding sinusoidal magnetic field which results in an emf being induced in the trip coil of the RCD. At a predetermined value, the trip relay operates and opens the contacts of the RCD. If the residual current has a different frequency, or if the waveform is not sinusoidal, this will affect the performance of the RCD. If the frequency of the residual current is too high, the magnetic field which is caused by the residual current may not collapse fast enough before the current begins to increase in the opposite direction. This would result in the magnetic circuit becoming ‘saturated’ such that an emf will not be induced in the trip coil. Similarly, if the residual current was DC, this would saturate the magnetic circuit of a Type AC RCD and prevent an emf being induced in the trip coil because the current is only in one direction. Also, a DC component in an AC residual current can bias the magnetic core such that the AC residual current cannot induce an emf of sufficient magnitude to operate the RCD. Type AC RCDs are standard in RCBOs (at least up to the present time), but the use of Type AC RCDs when designing or updating installations requires careful consideration because most circuits now include appliances that can produce different types of residual fault current. For example, in circuits containing common semiconductor circuits such as thise found in modern equipment, Figure A 52.1 in Annex A 53 of BS 7671 contains graphs of possible fault currents in systems with semiconductors. It also provides guidance on the type of RCD required for each. The distinction between the different RCD characteristics is crucially important when installed in installations which may have DC fault currents. In such installations, the possibility of a DC component of residual current on the AC circuit is present and appropriate measures must be taken to limit it. 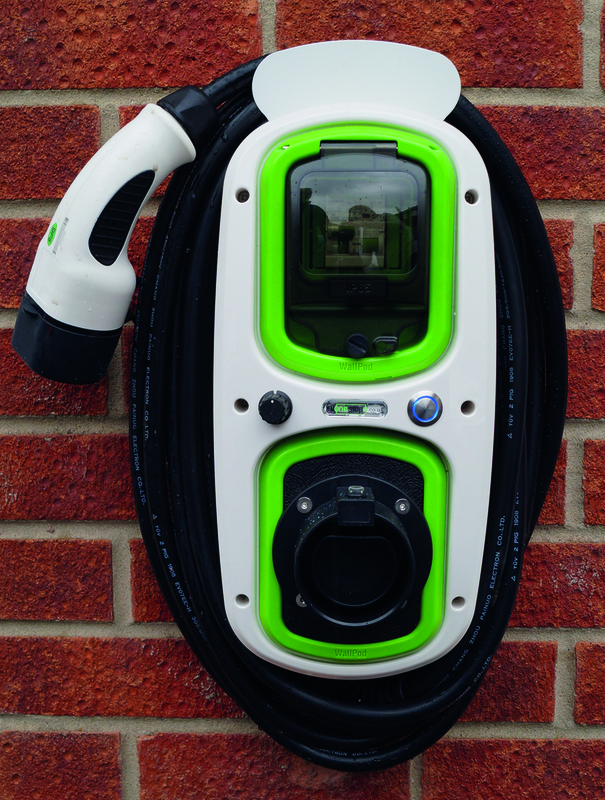 The requirements for RCDs used in EV charging installations are given in Regulation 722.531.2.101. This regulation requires that protective measures be taken against DC fault current and this means that the RCD must either be Type B or Type A, together with appropriate measures that provide disconnection of the supply in case of a DC fault current greater than 6 mA. This acknowledges the fact that only Type B RCDs are able to properly function with a DC residual current component exceeding 6 mA (Fig 1, below). The requirement for RCDs used in PV systems is given in Regulation 712.411.3.2.1.2. This regulation requires that, where a PV power supply system is without at least simple separation (i.e. separation between circuits or between a circuit and Earth by means of basic insulation) between the AC side and the DC side, the RCD must be Type B. However, where the PV convertor is not able to feed DC fault currents into the electrical installation, a Type B RCD is not required (Fig 2, below). Where RCBOs are installed, it is of the upmost importance to ascertain whether DC fault currents are likely to be present in the protected installation and the precise RCD function of the RCBOs. 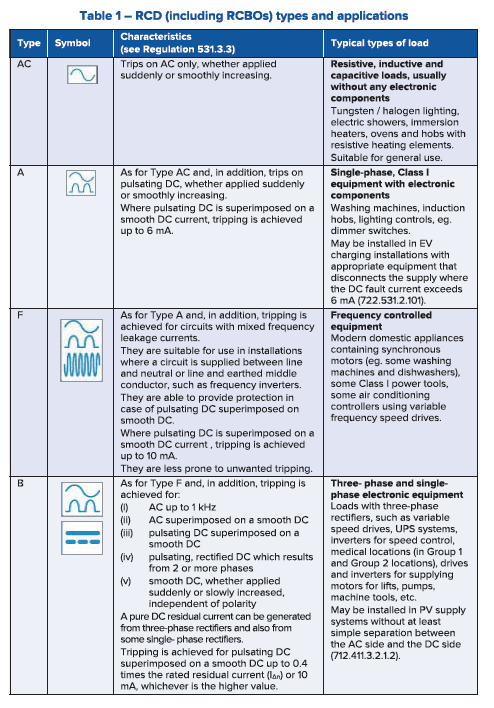 Table 3A in Appendix 3 of BS 7671 gives the time/current characteristics for RCBOs to BS EN 61009-1 without distinguishing between the different types of RCD. RCBOs also need to be selected with overcurrent, current rating and the short circuit capacity in mind.